Prominent & Leading Manufacturer from Delhi, we offer laboratory glasswares. 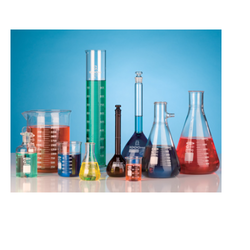 We are one of the well-established manufacturer, supplier and trader of Laboratory Glasswares. The offered laboratory glasswares are very useful for the laboratory experiments and research work. Our offered laboratory glasswares are very widely liked for the inert and non-reactive body. The offered laboratory glasswares are very suitable for the bio-medical research projects. Our offered laboratory glasswares are cost effective in rates. Looking for Laboratory Glasswares ?